The bank reported net profit at Rs 5,005 crore ($682.16 million) for the quarter ended September 30, from Rs 4,151 crore a year ago. Total income for the quarter rose 21.2 per cent to Rs 28,215.2 crore as against Rs 23,276.2 crore, the lender said in a regulatory filing. The stock which opened at 2,005.30 fell to intra day low of 1988 level on the BSE. The stock closed at 1965.80 level on Friday. The stock has gained after three days of consecutive fall and opened 2.01% higher in trade today. It closed 1.55% or 30 points higher at 1998 level on BSE. The stock has gained 8.10% during the last one year and risen 6.73% since the beginning of this year. Morgan Stanley analysts say bank didn't disclose exposure to IL&FS, but sounded confident about its corporate loan portfolio; retain 'overweight' rating with price target of Rs 2,550. 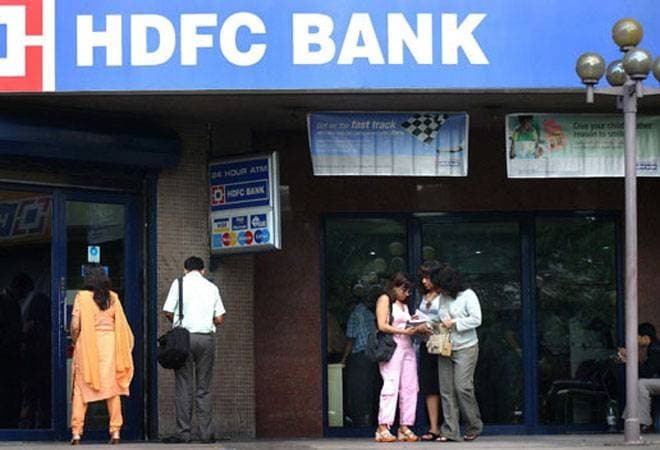 Nomura said bank remains "best placed in the current liquidity tightening cycle and strong capital position" should aid it to capture market share without materially compromising on margins; keep HDFC Bank as the preferred bank pick and maintains 'buy' rating with price target of Rs 2,350. Of the 46 brokerages covering the stock, 42 rate it "buy" or higher, three "hold" and one "sell", according to analysts' recommendations tracked by Reuters. Net interest income stood at Rs 9,752.1 crore in September quarter of 2017-18. In value terms, the gross NPAs of the bank stood at Rs 10,097.73 crore by end of September quarter, compared to Rs 7,702.84 crore. Net NPAs or bad loans, however, fell to 0.40 per cent of the net loans by end of second quarter against 0.43 per cent. The absolute value of net NPAs was at Rs 3,028.24 crore as against Rs 2,596.83 crore. The bank earned interest of Rs 24,199 crore in the second quarter compared to Rs 19,760 crore in the corresponding quarter of previous fiscal logging a rise of 23.03% y-o-y . Operating profit rose 21.26% to Rs 9479 crore in Q2 compared to Rs 7817 crore reported in the corresponding quarter of previous fiscal.